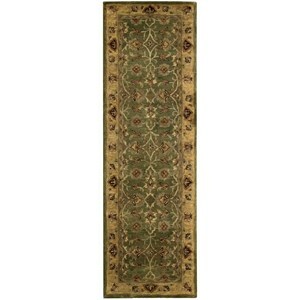 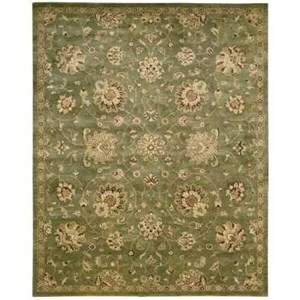 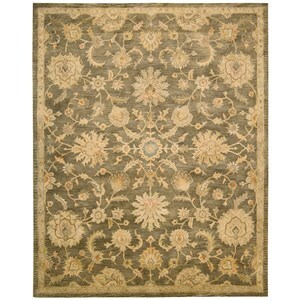 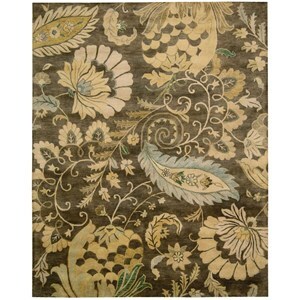 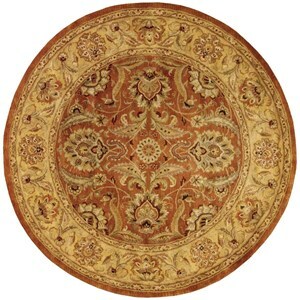 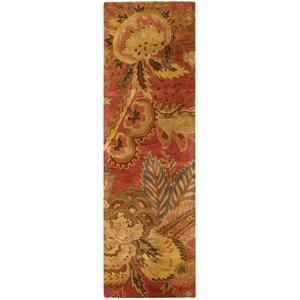 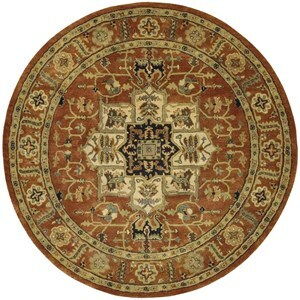 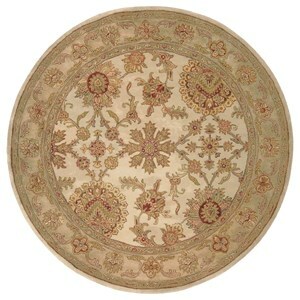 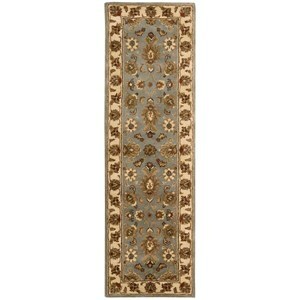 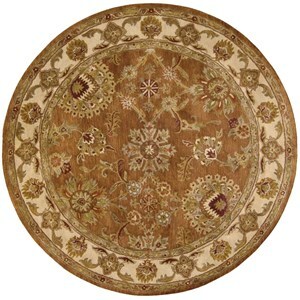 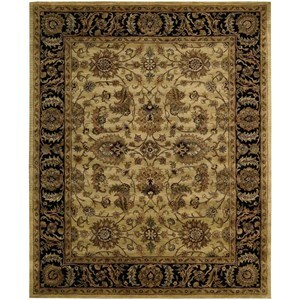 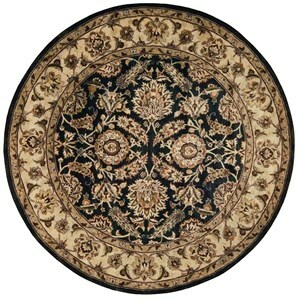 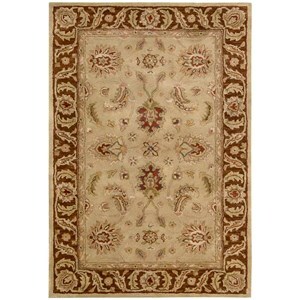 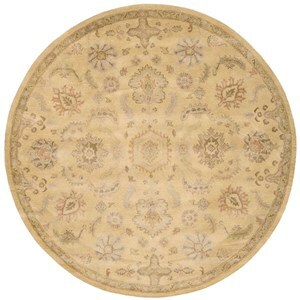 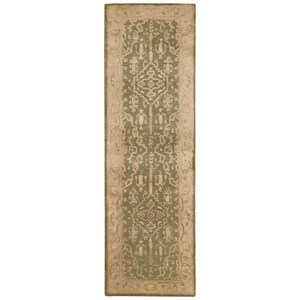 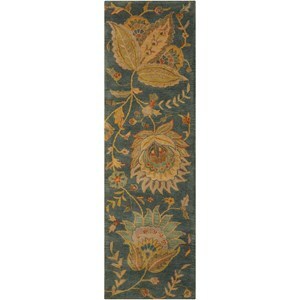 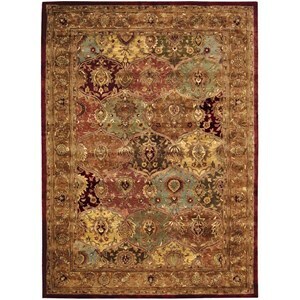 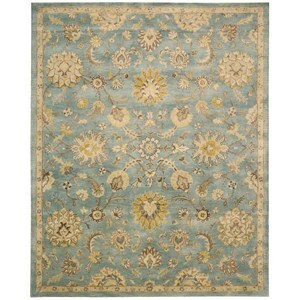 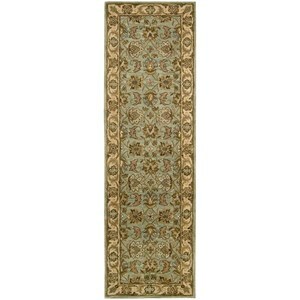 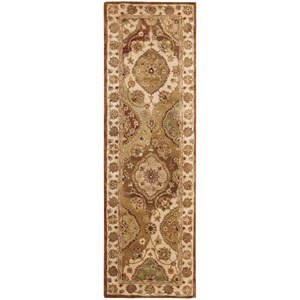 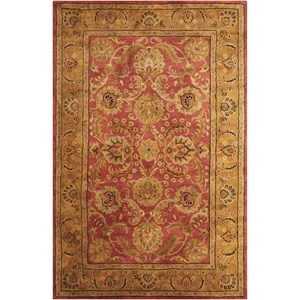 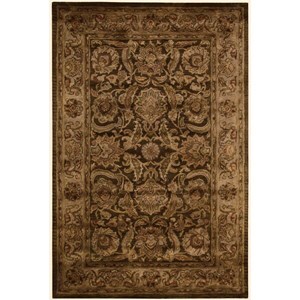 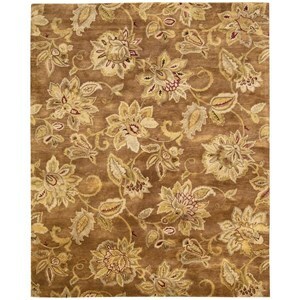 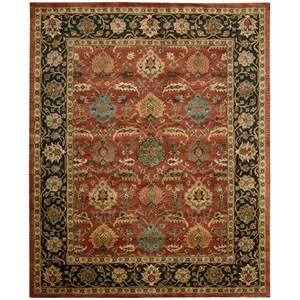 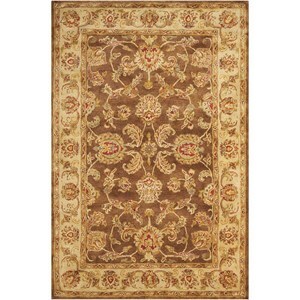 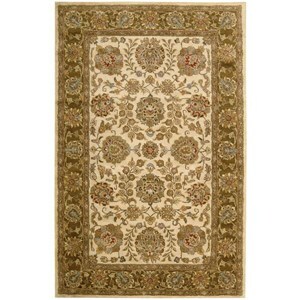 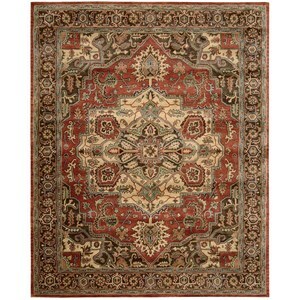 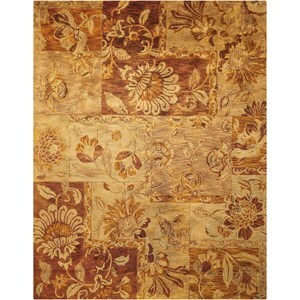 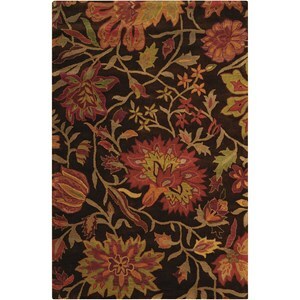 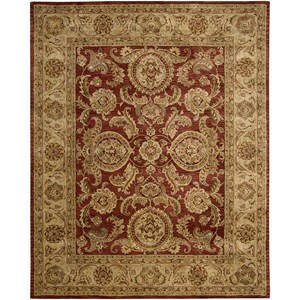 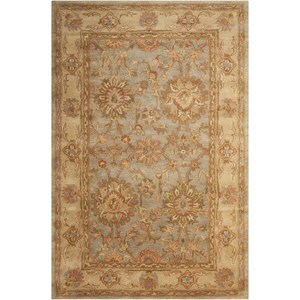 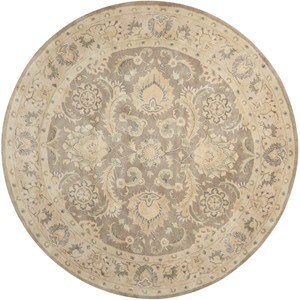 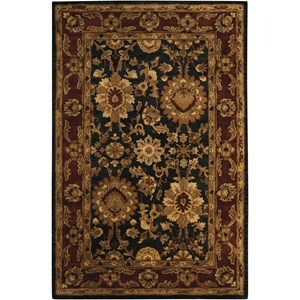 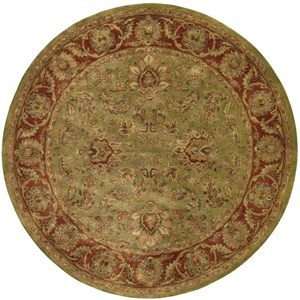 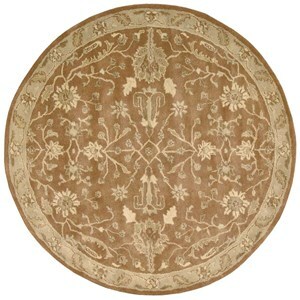 The golden age of Persian carpets comes to life in this elegantly imaginative floral design. 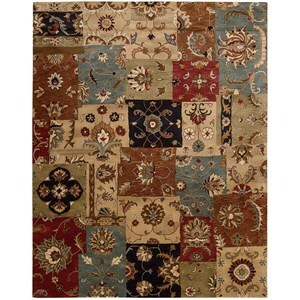 A geometric patchwork motif provides a structural balance to the exciting display of oversized blooms in burnished tones of gold, green and burgundy. 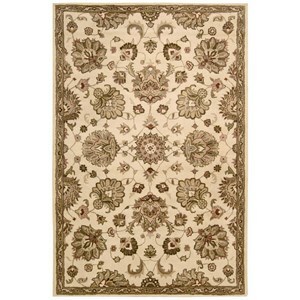 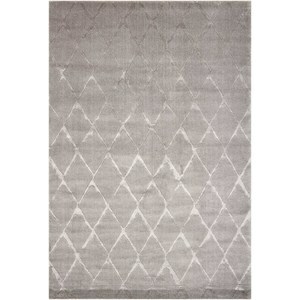 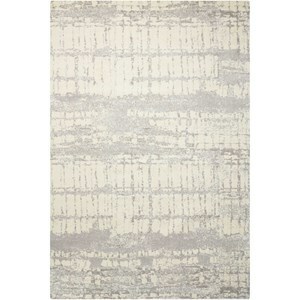 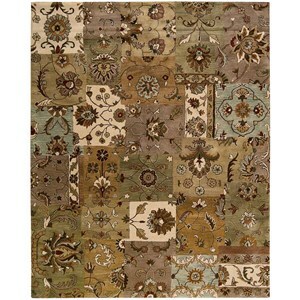 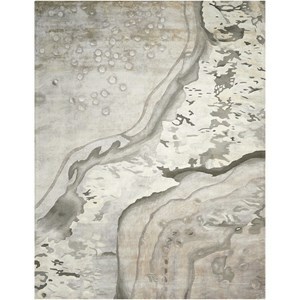 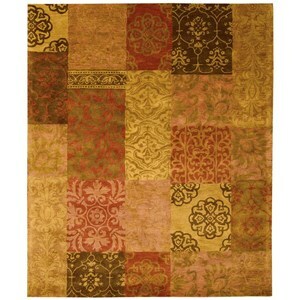 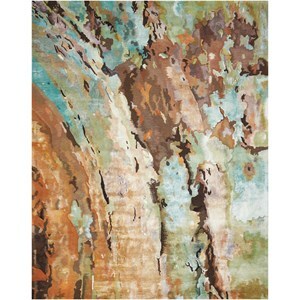 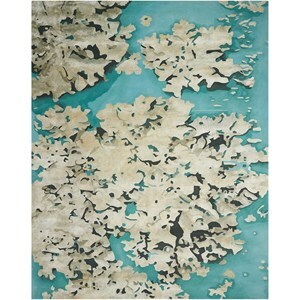 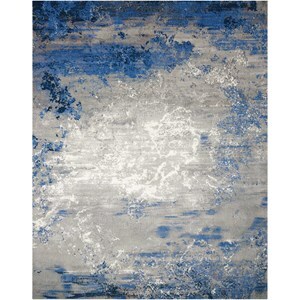 Regal and refined, it captures a garden of visual delight.